It has been on my to-bring-my-kids list for the longest time (since 2014) and for some reason I just didn't have the time. 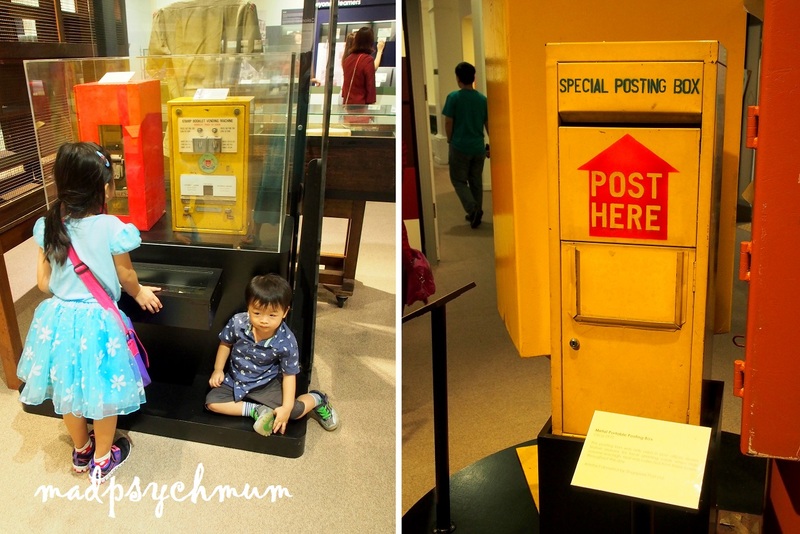 It was only when Bumblebeemum shared that there were special exhibitions happening there that I finally decided it was time to bring the kids to the Singapore Philatelic Museum (i.e. Stamp Museum). Some Singapore stamps in CNY theme. 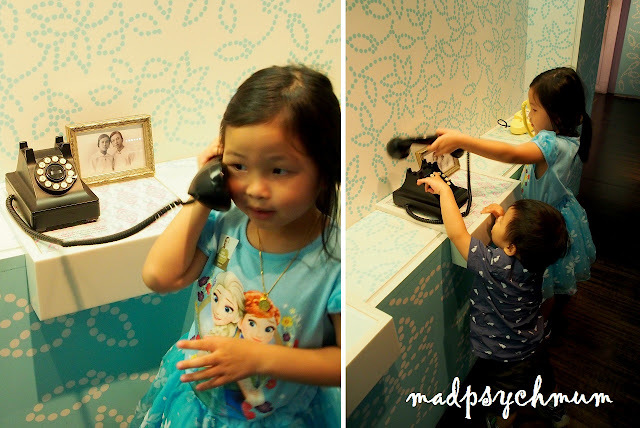 Fellow parent bloggers have raved about how it was the best museum for kids so I was sure my kids will enjoy themselves. 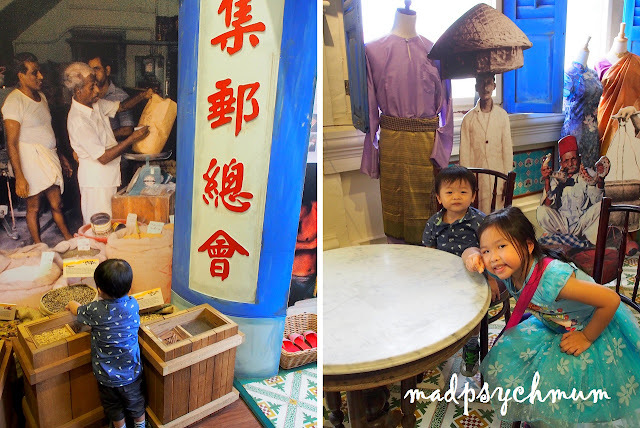 We decided to bring them on CNY Day 2 because I guessed that most people would still be visiting their relatives and there would be less people at the museums. 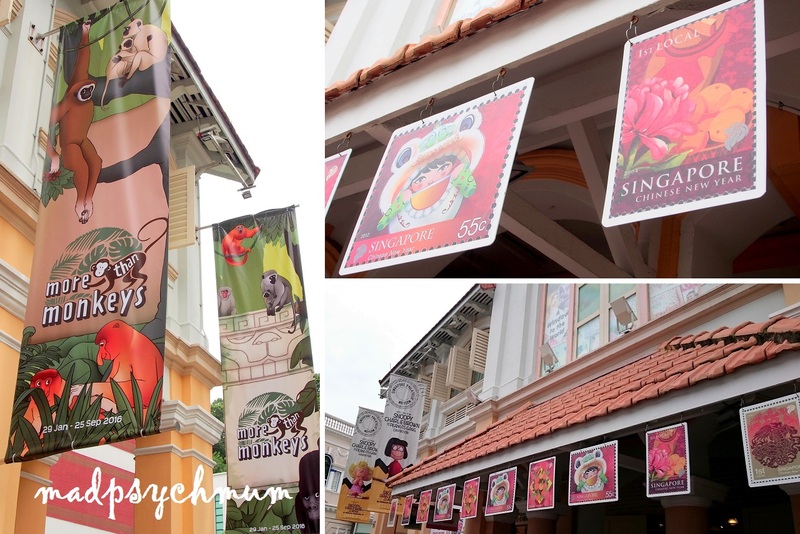 I drove us there in MINIbee and parked at the carpark next to Peranakan Museum. 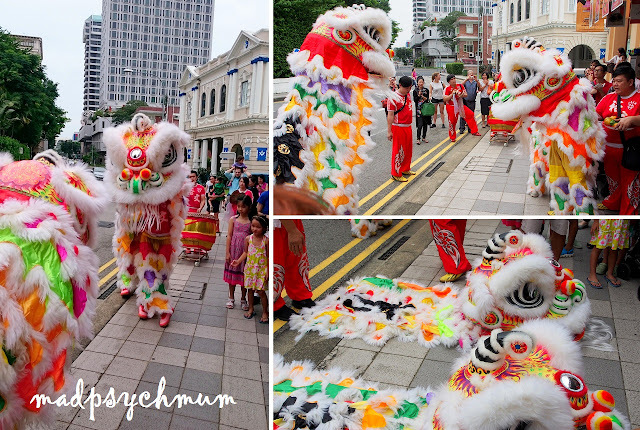 Luckily for us, we managed to catch the lion dance at the front of the museum! 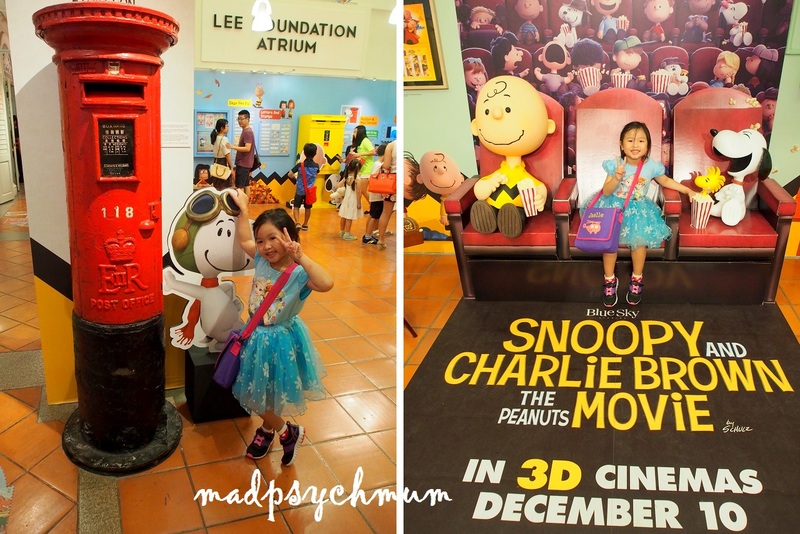 There was a small Snoopy, Charlie Brown and the Peanuts Gang Exhibition going on as well and though the girl had no idea who Charlie Brown and Snoopy were, she was just as excited to take pictures with them (cos they'll cute I suppose!). 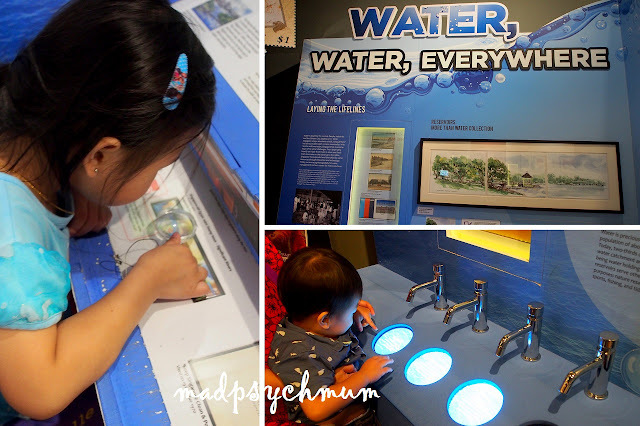 The exhibits were indeed very kid-friendly and interactive, with lots of things for the kids to do. We climbed the stairs to the second floor (unfortunately, there is no lift so if you've brought your stroller like we did, be prepared to carry it up or leave it at the reception). The first exhibit to our left was the Heritage Room. All the spices that the people used to buy and sell. 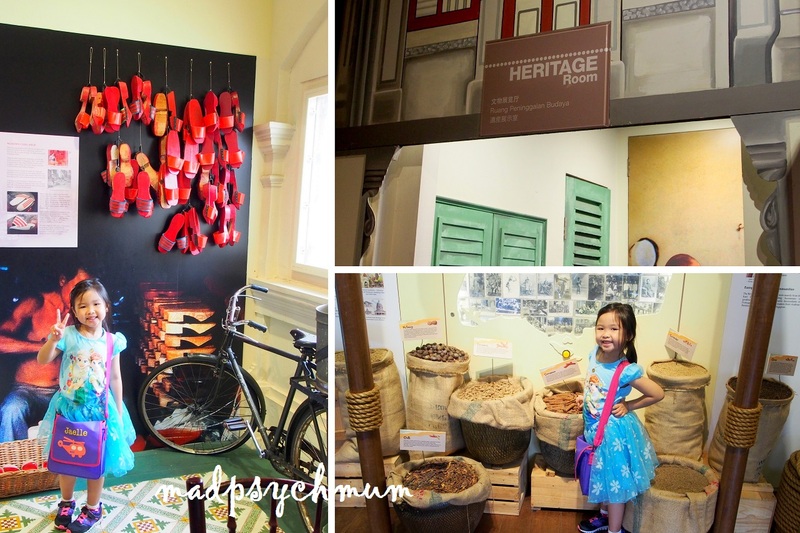 I thought it was weird that there is a Heritage Room in the Singapore Philatelic Museum. Don't get me wrong, it's a wonderful exhibit. However, what has this gotta do with stamps? 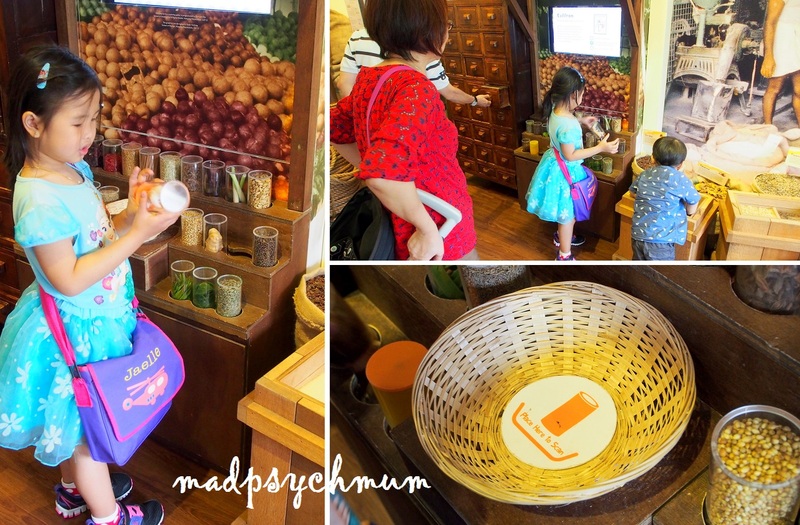 Girl was asking me what spice was in each container. That's when I realised that you can place the spice onto the basket and the screen will flash the answer! 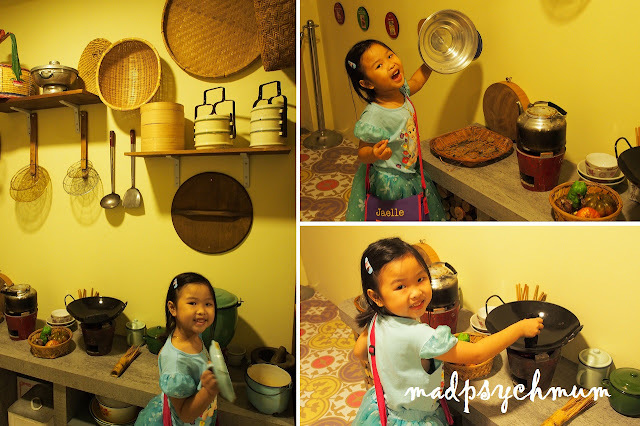 A small corridor where my girl got to have fun with really old school pots and pans that our grandparents and parents used to use. My mum still has the green pot that my girl is holding on the left! The rest of the exhibits on the second floor was more related to stamps. Old school Postbox. My kids and I have never seen postboxes like that. Very cool right? Baby Boy loved pressing the tap to light up the words below. Puzzle for the kids to put together. The boy loved it so much, he did it four times! 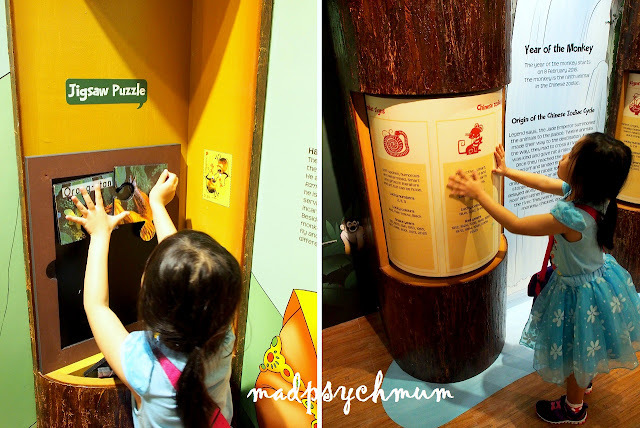 Interactive station where you can put a stamp into the groove and the display will show you what the stamp is about. Very cool. Reminds me of the puzzles we did at Escape Rooms. Such a pretty stamp isn't it? Love it! 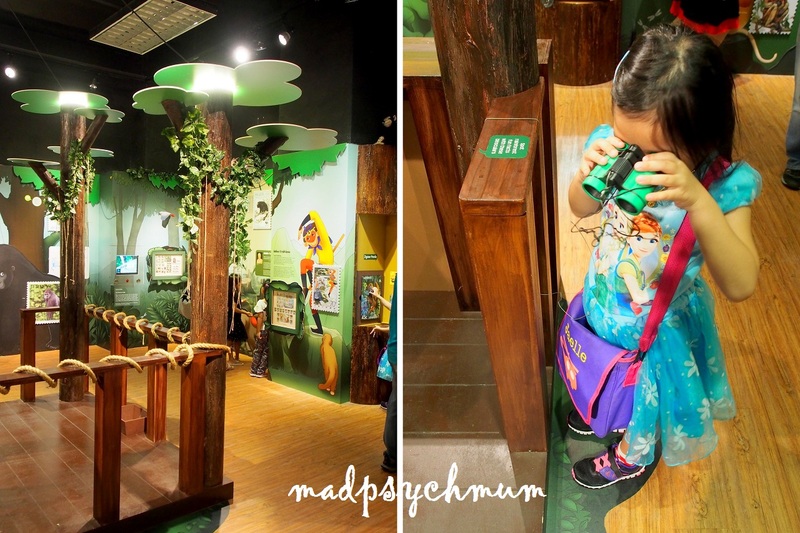 We ended our visit with the More Than Monkeys exhibition, which is in celebration of the Year of the Monkey. Baby Boy loved turning the different boards. Right: Girl looking into the binoculars. A musician playing on the Chinese Gu Zheng at the Snoopy exhibit in celebration of Chinese New Year! 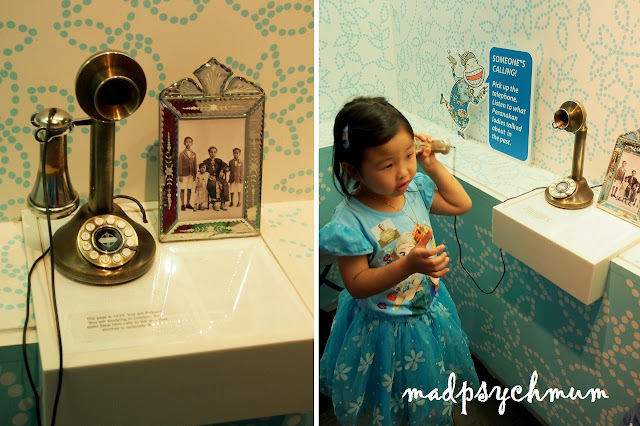 The Great Peranakans 50 Remarkable Lives exhibition is on at the Peranakan Museum. The late Mr Lee Kuan Yew and his wife Kwa Geok Choo are featured, as are the first female doctor in Singapore, entrepreneurs, translators and even a famous wedding dress designer. 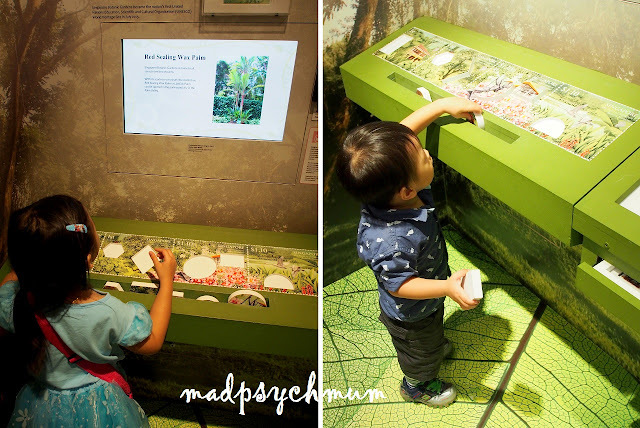 Thankfully, there were still some exhibits that were suitable for kids (I was less stressed around these exhibits). This phone is so old school that my girl asked me, "how to use this phone mummy?" I taught her and she found it really interesting! And that was it. 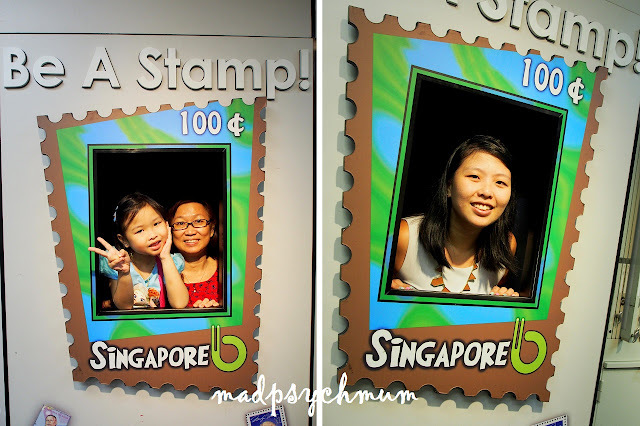 Not as exciting as the stamp museum but just as informative and educational. 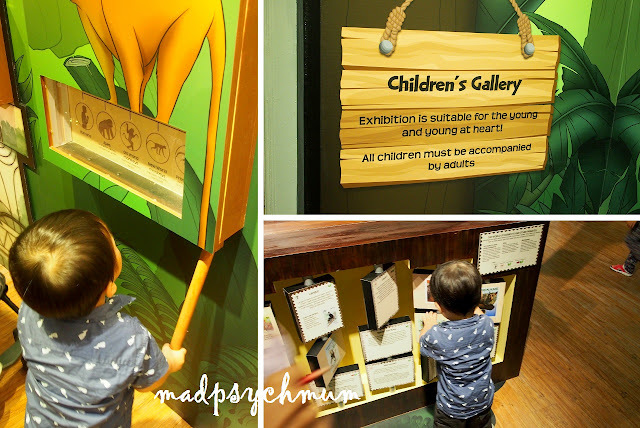 Worth a visit if your kids are older. 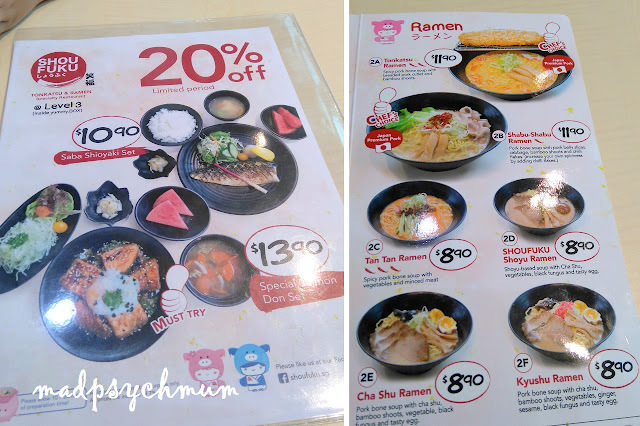 We went back to Big Box to have dinner at our favorite Japanese restaurant, Shou Fuku, which is located on Level 3 within the food court. Few people know that this gem exists so I'm trying to help promote them in hopes that they won't close down! Cheap and good, with no GST and service charge! We like this place because you can get pretty authentic ramen for $8.90-11.90! Definitely a good compromise between the expensive restaurants and cheapo food court food. If you're in the area and like ramen, you should totally try this place! Me and my girl in our outfits for the day. Love my Still dress from Robinsons, Heeren. 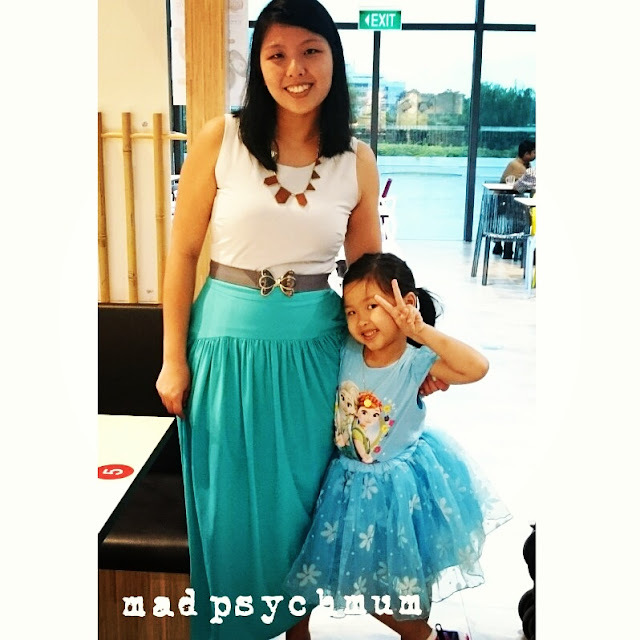 I'm now a new fan of Still, the brainchild of a Singaporean designer (support local y'all! ).